Is the cold weather harming my skin? In some ways, yes, but in others, no, the cold can actually be beneficial. Let’s begin with some of the most common skin problems that people experience in cold temperatures. Your skin’s protective barrier sits on the outer layer of your skin, and performs a number of important functions. One of these is to help your skin retain moisture. It does this by trapping moisture into your skin, preventing it from evaporating into the air. However, the cold weather can sometimes interfere with this. Firstly, it strips away the natural oils that make up your skin’s protective layer, leaving it exposed and vulnerable. Secondly, the air tends to be quite dry in cold weather, meaning that moisture ends up evaporating into the air at a much faster rate, especially with a damaged protective barrier. A rich and thick moisturizer can make a huge difference, as this will provide your skin with an extra protective layer, covering over any gaps that have come about from damage to your own natural protective barrier. Make sure that you apply your moisturizer to damp, rather than dry, skin. Because damp skin already contains moisture particles. Applying your moisturizer over the top of this will trap these water molecules beneath it, ensuring that the only place for them to go is into your skin, rather than evaporating into the air. You may think that the dry skin that the cold brings would put a stop to your acne breakouts, but the opposite can often happen. Well, in addition to retaining moisture, your skin’s protective barrier also guards the skin from all of the bacteria, dirt and more that you come across on a daily basis, blocking these from actually entering into the skin. When this barrier is damaged by the cold, all of those unwanted substances enter the skin at a much greater rate. This not only leads to clogged pores causing breakouts, but also exacerbated breakouts due to infections. You need to be careful. Many acne treatment products can be quite drying on the skin, stripping it of its natural oils in order to clear breakouts. However, since cold weather acne is caused by a damaged skin barrier, these drying ingredients will only result in even more damage, increasing the frequency and severity of your breakouts. Opt for something gentler, such as salicylic acid. This ingredient will exfoliate the inside of your pores and clear out any debris, without drying your skin out in the same way that other popular anti-acne ingredients, such as benzoyl peroxide, do. Using some of the ingredients mentioned above to strengthen your skin’s natural barrier, such as the ceramides and hyaluronic acid, can also help. However, you may be best off staying away from the heavier ingredients, such as shea butter and oils, if your skin type is oily. 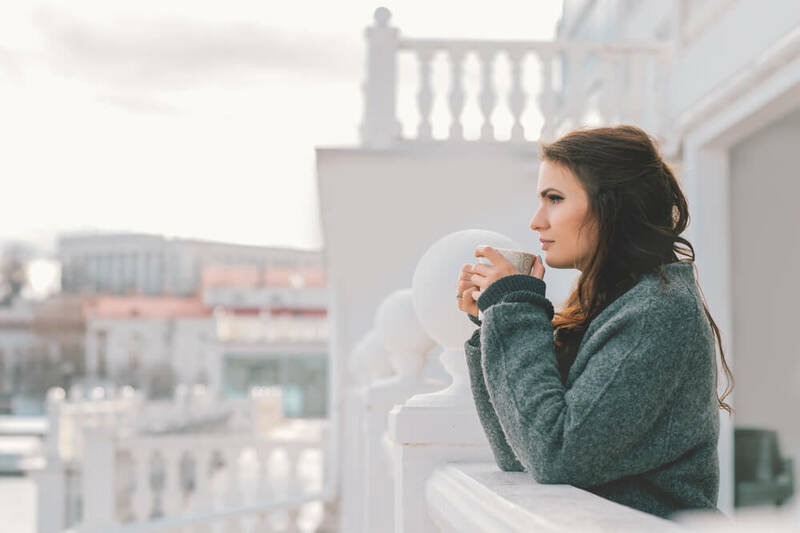 Many people find that their skin takes on quite a rough and dull appearance in cold weather, and there is a simple reason as to why this happens. The way in which the cold strips your skin of its natural oils has an effect on the rate at which it naturally sheds its dead skin cells, slowing this down. 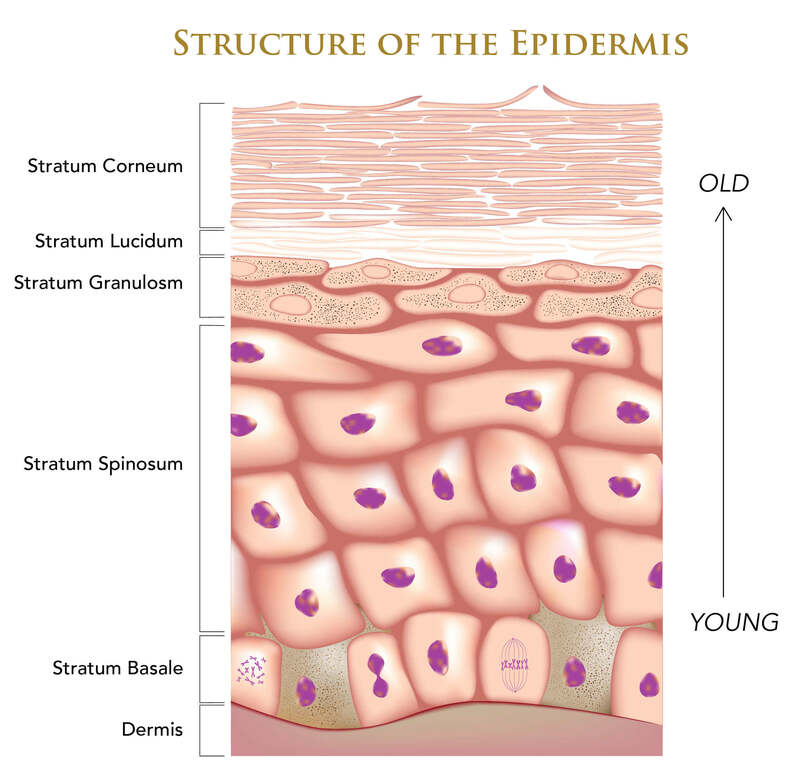 This means that all of the extra dead skin cells end up settling on the surface of your skin. In some cases, this can cause acne, but in others, it ends up contributing to roughness and dullness. The answer here lies with exfoliating. Exfoliation will clear away the dead skin cells that are sitting on the surface of your skin, while also giving your pores a deep clean too. Not only that, but exfoliation stimulates the rate at which your body naturally sheds its dead skin cells, speeding this back up, despite the cold. They both have their pros and cons, but chemical exfoliation tends to be the best option during cold weather. Because, as mentioned above, your skin’s protective barrier is extremely fragile in the cold. Scrubbing at it, even with a gentle scrub, will only end up damaging it more. Although chemical exfoliation sounds harsher, due to the fact that the word “chemical” is used, this is actually a much milder and gentler way to exfoliate your skin. There are two main types of chemical exfoliants out there – AHAs (Alpha Hydroxy Acids) and BHAs (Beta Hydroxy Acids). The main difference between the two is that AHAs target the surface of the skin, while BHAs work deeper in the pores. AHAs tend to be much more gentle, making them the ideal choice for cold weather. Which AHA should you use? Lactic acid and mandelic acid tend to be the best for dry and sensitive skin, due to the fact that they are extremely gentle, while glycolic acid is the most effective for all skin types. Due to the way in which cold and warm air end up layered together in cold weather, this actually ends up trapping air pollution much closer to the surface of the planet than usual. Not only that, but fossil fuels tend to be burnt more during the winter months, increasing the number of toxins in the air. 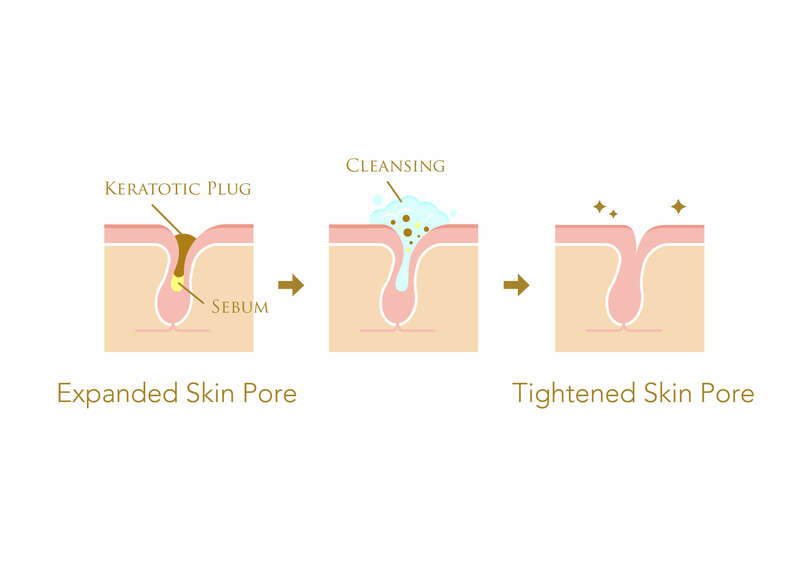 How does this make a difference to your skin? Wondering what you can do about this? The best way to tackle the skin-damaging effects of pollution is by using plenty of antioxidants in your skin care routine. Well, when pollutants come into contact with your skin, they trigger the creation and growth of free radicals. These are essentially damaged molecules that end up attacking healthy cells in order to try to heal themselves. Unfortunately, this then turns the healthy cells into free radicals too, resulting in an endless cycle of damage. Antioxidants put a stop to all of this by healing free radicals, providing them with the parts that they are missing and therefore preventing them from attacking healthy cells. Of course, with hundreds of different antioxidants out there, how do you know which ones to go for? While the size of your pores can’t actually change, they can still look larger or smaller depending on how stretched out they are. Usually oil, dirt and anything else that ends up settling within them, causing their opening to expand in order to accommodate all of these substances. As mentioned above, the cold strips away some of your skin’s natural oils, while also slowing down the rate at which your sebaceous glands produce sebum. By keeping oil production to a minimum, and also acting as an astringent, the cold weather helps to keep pores looking invisible while reducing the shine that you experience in the warmer months. In this way, cold weather can have the same effect as cleansing, in that pores tend to look smaller and tighter. There are many products and devices out there that are designed to increase blood circulation. What does this have to do with cold weather? Because cold weather increases your blood circulation, enabling your skin to enjoy all of the benefits mentioned above. In order for your body to properly fall asleep, your body temperature drops, and this is something that usually happens about two hours after you go to bed. This is why many scientists advise people to keep their bedrooms at a cool temperature in order to improve sleep quality. It goes without saying that cold weather will automatically drop the temperature of your bedroom, so long as you aren’t using too much indoor heating. This will help to induce sleep, giving you a much deeper sleep than you otherwise would have had. This really benefits your skin. Because while you are asleep, your skin works hard to heal and regenerate itself, doing this at a much greater rate at night than during the day. It produces the majority of its collagen and elastin at night too, both of which are key proteins when it comes to keeping the skin smooth and firm. In order for your skin to do all of that, it needs your body to be in the deep stage of sleep, which can only really happen when your body temperature has lowered to the optimum level. As you can see, the cold weather brings both advantages and disadvantages to the skin. In order to cope with the negatives, you will likely need to adjust your skin care routine a bit, so that your skin can make the most of the benefits that the cold weather brings. 82 Responses to "Is Cold Weather Harmful for Your Skin?" My skin is so dry and painful in the winter, but my sleep is warm and cozy. The good with the bad. Orogold helps get thru the tough skin conditions. I appreciate this article. Learned a lot. Thanks. Great article! Would like to try Orogold skincare product. Very informative. Many questions answered. I am truly excited to try a more natural approach. Thanks for the informative article, which helps me a lot on skin car during the cold winter. Informative article! Love all of your products. Great info, seeing things I seriously need to add to my skincare routine. My face is awful- dry and very dull during the cold winter months. Thank you! I definitely need this right now. This winter has been very harsh on my skin. This was a great article! I learned so much about winter skin!! Thanks for posting this!! I have noticed that the older I get, the drier my skin becomes. My skin always suffers during the winter, and I am always willing to try new products to give me some relief! Thank you so much for all the information you presented to us especially the ingredients to look for to help dry skin. I have been using Orogold for past 8 weeks. Finally seeing the results I was hoping for. Good to know these tips for skincare as we enter the cold winter months. I love OROGOLD! UGH, I dislike what dry weather does to my skin. Time to up my moisturizing! This article was very helpful because I get the worst dry skin in the winter and nothing seems to work. I like using Orogold products. This Has Many Ways To Improve You and Your Skin !!! Gosh, this product clearly protects the skin from all the harsh environmental elements constantly bombarding our skin. A necessary step in any skincare routine. It was nice to learn that cold weather actually has an upside for my skin. Thanks for this. Didn’t realize cold weather was good for circulation. Interesting article. I really need some of this. Thanks for the info! Found it very interesting! Thanks for the chance to win! Thank you for your generosity!!! Merry Christmas and Good luck to all! I must moisturize constantly in the winter. I try not to use the heater since it’s so drying too. However, I live how invigorating the cold makes me feel. Better that the hot,humid summers! This article provided information that I was unaware of. Especially about acne in winter. Thank you. There was a lot of info that I didn’t know yet. Thank you for all the tips and info. My skin always gets dry in winter. Cold weather always call for more skin care to prevent dryness . I use all the moisturizer I can!!!! My skin suffers every year from the severe cold weather. I’ve been using the wrong type of exfoliant. I need my face to have increased circulation, I think the toner will be this. My skin is dry and when the weather gets cold it is pass dry. It hurts. Shower me in gold. Just what the Doctor ordered for me on my Prescription. Skin elegance in a bottle or jar Awesome! Need this for my dry skin. This is great information. I learned things I would have never known. I live in upper Michigan and it gets very cold.We heat with wood so my skin is dry.I would love to win. I’m living on hyaluronic acid right now. I live in a colder climate. I feel a layer of protection for your face and hands is crucial.Especially in -40’s. I would live to try this. My winter skin is terrible. My skin dries & cracks when the weather turns cold. So much new info for me that I didnt know befor! Very helpful!!!! This would help my dry skin. This was a very informative article, I learned alot. Thanks for the information. I know know what to use on my dry skin in the winter. Would like to win it. I love orogold products..there are no comparisons when it comes orogold! Absolutely the best!! My skin gets really dry during the winter, and I haven’t yet found something that works good. My skin gets dry in the winter but is still oily especially when I sleep! This article covers everything you need to know about your facial skin at any age! Very important and in-depth information on the how’s and why’s of complete skin care. Orogold Cosmetics gets it! Very interesting article on how cold weather affects skin. I learned a few things I did not know. I would love to try your products! ! They seem really beneficial to your skin! ! Love Orogold – would love to win this prize!